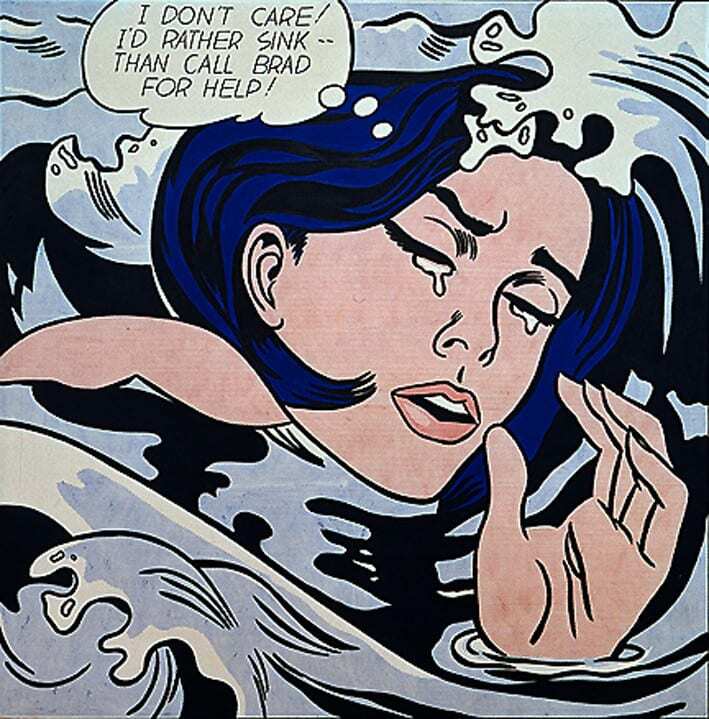 Roy Fox Lichtenstein (pronounced /ˈlɪktənˌstaɪn/; October 27, 1923 – September 29, 1997) was an American pop artist. During the 1960s, along with Andy Warhol, Jasper Johns, and James Rosenquist among others, he became a leading figure in the new art movement. His work defined the basic premise of pop art through parody. Favoring the comic strip as his main inspiration, Lichtenstein produced hard-edged, precise compositions that documented while it parodied often in a tongue-in-cheek humorous manner. His work was heavily influenced by both popular advertising and the comic book style. 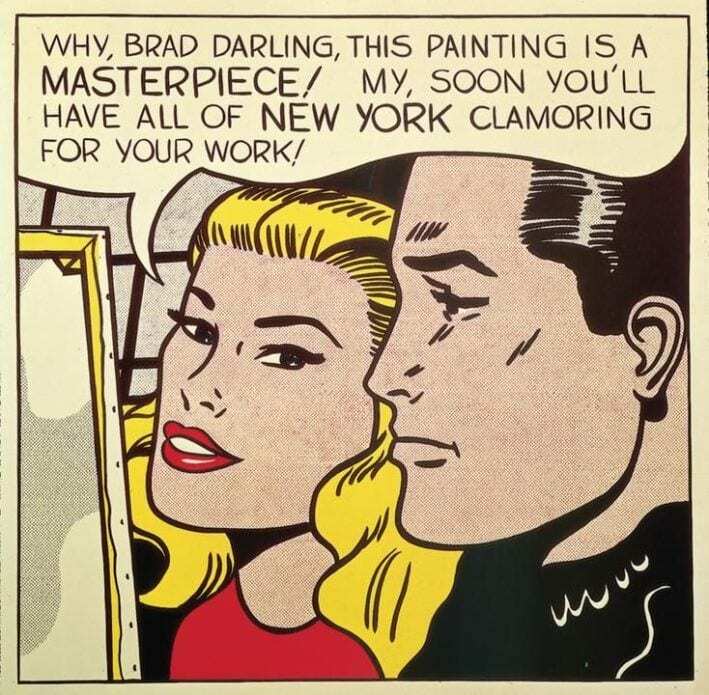 He described pop art as “not ‘American’ painting but actually industrial painting”.His paintings were exhibited at the Leo Castelli Gallery in New York City. Roy Lichtenstein (1923-1997), Nurse, 1964. Oil and Magna on canvas. Signed and dated ‘rf Lichtenstein ’64’ (on the reverse). 48 x 48 in. (121.9 x 121.9 cm.) 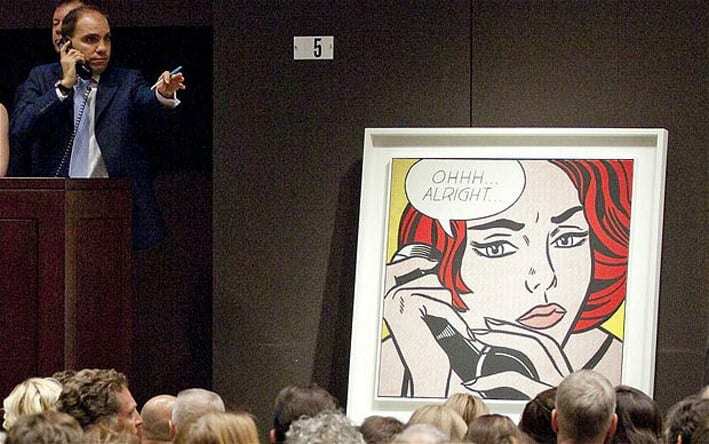 © Estate of Roy Lichtenstein.SOLD for $95.4 million, with fees, to another phone buyer, well above its $80 million estimate — despite the lack of a “speech” or “thought bubble” that typically drives up the price of Lichtenstein works. “Nurse” reached a new price level for Lichtenstein at auction. 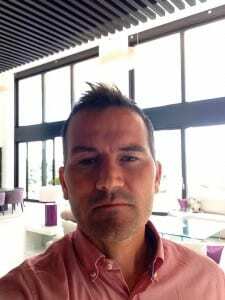 Christie’s also shared that guarantee with a third party. Roy Lichtenstein’s Woman with Flowered Hat sold for $56,123,750 on 15 May 2013, in Christies New York Post-War & Contemporary Evening Sale, becoming the most expensive Roy Lichtenstein ever sold. 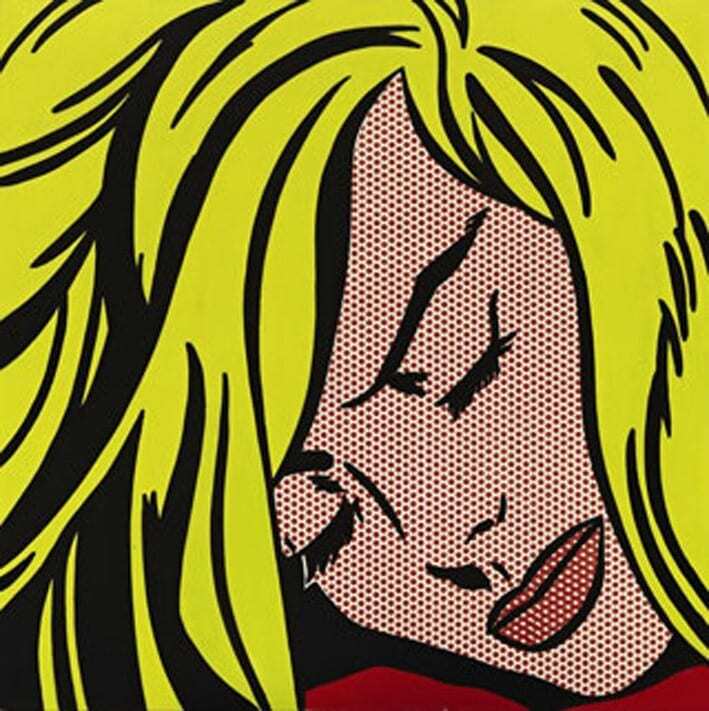 On May 9, 2012, the comic painting Sleeping Girl (1964) from the collection of Beatrice and Phillip Gersh established a new Lichtenstein record $44.8 million at Sotheby’s. I Can See the Whole Room…and There’s Nobody in It! 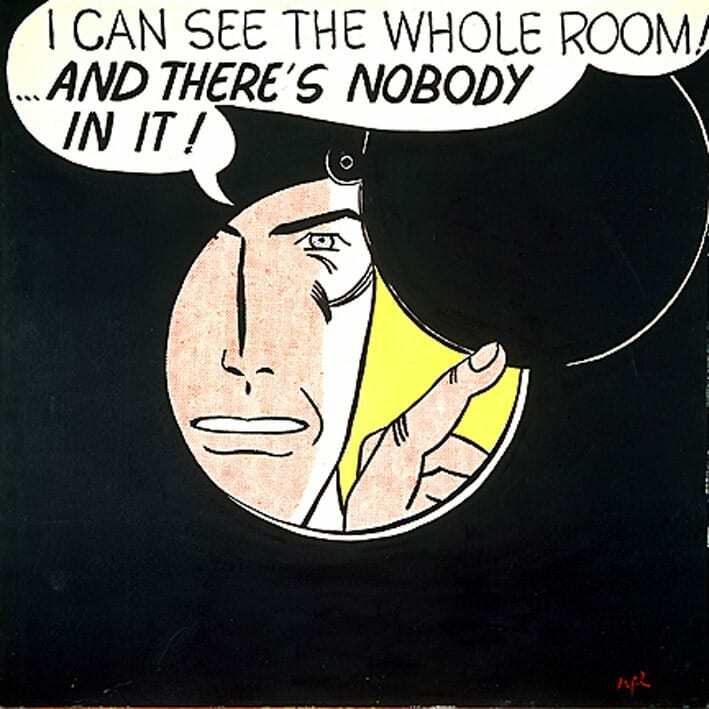 Expertise on Roy Lichtenstein works. Karen Bandlow; Eileen Doyle; Alison Green; Sarah Lowe; Justine Price; Julie Reiss; Susan Solomon; Nadia Tscherny, and Laural Weintraub. If you wish to buy or sell a art work by Roy Lichtenstein please use the contact form. ← The most expensive Picasso paintings.Buy and sell Picasso Paintings.